Following the All Student Vote in October where you voted to keep the Union Southampton branding with the SUSU name and the recent ideas survey, we have been busy working on the logo redesign based on your feedback. Many of you said that you would like to see more colour on the building signage and a few of you expressed concerns about the cost of the rebrand previously. Therefore, we have been working with our Graphic Designers to come up with a series of logo designs in-house which you will be able to choose from. We are holding a meeting on Friday where our Full-Time Officers will work with our staff to decide on three of the logos that best fit what you have asked us. Between Monday 08-Friday 12 May (dates to be confirmed), we will be holding a series of Tap. Choose. Change. activities at the Union for you to decide on your favourite logo. We will be touring the survey across our campuses, so if you who don’t regularly study at Highfield, you will be able to have your say. 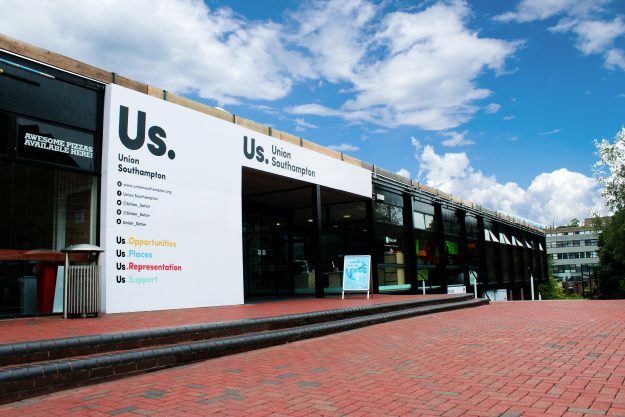 Union President, Alex Hovden comments, “I’m really excited to see what our in-house designers have come up with in terms of creating a logo that integrates the SUSU name into our current brand, as per the outcome of the All Student Vote”. Get in touch with our Full-Time Officers to ask them any questions via the You Make Change section of our website.